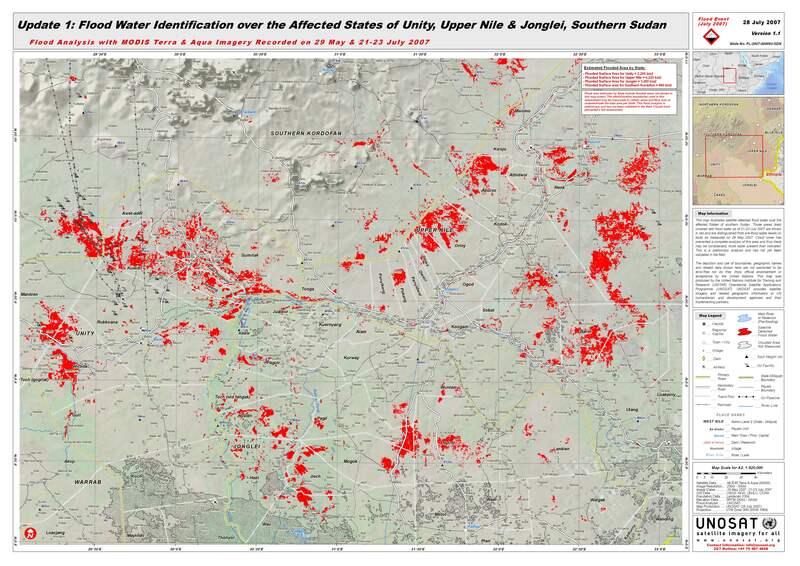 This map illustrates satellite detected flood water over the affected States of southern Sudan. Those areas likely covered with flood water as of 21-23 July 2007 are shown in red and are distinguished from pre-flood water levels (in blue) as measured on 29 May 2007. Cloud cover has prevented a complete analysis of this area and thus there may be considerably more water present than indicated. This is a preliminary analysis and has not yet been validated in the field.